1) When Jeff and I moved to OKC, we decided we'd commit to it for a minimum of two years. The two-year point will be reached in September, so we've accepted that it's probably more like a three year period that we will live here. We had about five thousand bucks to move with when we came here and more than blew through it all before we had new income happening, so we figure we need at least 10K for the next move. So far, our savings stand at zero. 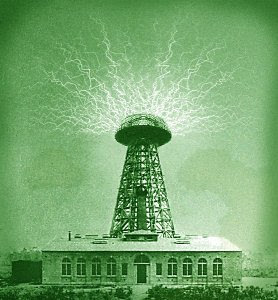 That being said, I've decided it's not too soon to start researching our next home town--and, of course, the future home of the M-Brane Tower (pictured on left), the brane's world headquarters (I expect to hear solicitations from chambers of commerce any day now, don't you know...). Moving back to St. Louis has not been taken off the table completely, but we're more than open to other options. Our criteria for a fresh new city include: 1) a climate relatively free of winter weather, or at least no more than what we endure here; 2) a dense city center with goods and services, including our residence, within short distances; no suburbs need apply; 3) a reasonable cost of living because we're not likely to be rich any year soon; 4) sufficient ethnic/immigrant diversity to allow for ethnic grocery stores (we're cooks, and need that selection close at hand, and both STL and OKC have been great in that regard); 5) cultural/ religious/ political diversity, or at least a population that is not ninety percent right-wing fundamentalist Christian and feel that they need to tell me about Jesus every day. STL was fine in that regard, but OKC gets a D-minus for it. We understand that criteria 1 and 5 run into conflict often in this country, but I'm sure there are options for us. 2) Feel free to keep talking about the taboo subject (last post). I'm still trying to think up a real hair-bleaching, paint-peeling, vapors-inducing shocker of a premise, and when I do, I'll post it in the comments (but y'all'll need to provide your own smelling salts). Dallas is your next home! Ok, yeah, you still have the fundamentals, but you also have a diverse community as well, including GLBT-friendly UU churches as well as several Buddhist communities. I don't care if you care about that side of things or not, but it's worth mentioning because it can be really hard to find here in deepest america. I'd also say that you'd fall in love with Sante Fe but the economy and cost of living there is bad even in good times. I'm skeptical. Doesn't W live there now? Not that that'll keep us away. OK, I'll add it to the List! Yeah, but the Polyphonic Spree does their Christmas Extravaganza yearly at the Granada, so it all evens out. Hmm. Ok, then, one other question: will W be attending the Polyphonic Spree Extravaganza? Or don't we know yet? Don't half-step through this. Just move down to Austin. Culture, food, music, food, theater, 6th street, food, low RN factor and did I mention the food? And W is a dirty word here. And the weather is marvelous almost all year round. If nothing else, you and Jeff should come down for a visit. The Armadillo Con (Literary Science Fiction Convention) is in August, and you could probably write the entire trip off as a business expense! I was living in New England the past 14 years before Austin. I just got tired of all the snow and ice. I've actually been swimming a few times this month. That's unheard of up North! Dan, you make a compelling case. I've heard other people extoll the wonders of Austin, too. Years back I had this prejudice that I would just never live in Texas PERIOD even if Shangri-La was located there. But now I live in OKLAHOMA for eff's sake, so there is no longer any state that is off limits ( well, except for all the northern ones now since we've decided that we will not live in the snow belt--I grew up in Wisconsin and went to college in Iowa, and I'm not going back to that life). OK, Austin gets added to the List. Check out Rehoboth Beach, Delaware. Yeah, it's a tourist town and can be a bit expensive to live within the city limits (nearby though are affordable options), and meets criterion #1 (gentle temperate climate), #2 (not a "city center" per se, but all of the amenities of one due to weekly traffic from D.C.--LOTS of good restaurants, esp. ), #4 (again, good food in abundance, and #5 (significant ethnic diversity and famous as being accepting of alternative lifestyles--we call it the San Francisco of the east). Just my 2 cents. To be honest, I'm not too sure what the winters in Oklahoma are like, but can't imagine it's much worse here in DE. Being surrounded by water (Atlantic on the immediate east, Chesapeake Bay to the west) mitigates the winter cold significantly (I doubt it fell below 20 degress Fahrenheit at all this past winter, and the worst only lasts about a month). Average winter temp, without actually looking it up, is probably around 40 - 45. Honestly that doesn't sound like much of an improvement over OK as far as winter temps, but it sounds like the season of it might be shorter, so taken on balance with other factors it could be a possibility (huge among those other factors is it being NOT in OK). I guess it would have some of the appeal of the Atlantic coast thing but without being all the way up in New England. Years ago I was visiting friends in RI and Boston. Newport was beautiful in the middle of August, but you wouldn't get me anywhere near that place in January. Other eastern seaboard places we have considered, but have no first-hand knowledge of yet include Savannah GA (Jeff is fascinated by it but I've never even been there) and Charleston SC which I've heard good stuff about now and then. We also love New Orleans LA but we're concerned that cost of living post-Katrina might make it out of reach for us since there are only 2 or possibly 3 districts of the city that are acceptable to us location-wise and they would be the most in-demand anyway. And if we were going to base it JUST on climate and had no money worries, I'd probably look into going all the way down to Key West or out to Hawaii...or even down to South America somewhere! A snowstorm, the most signficant one of the season, is about to happen here TODAY on March freakin 27th! Hate it!